The elephant fish is often called a shark but it’s closer to a ray. Elephant fish are visitors to Western Port Bay during Autum. 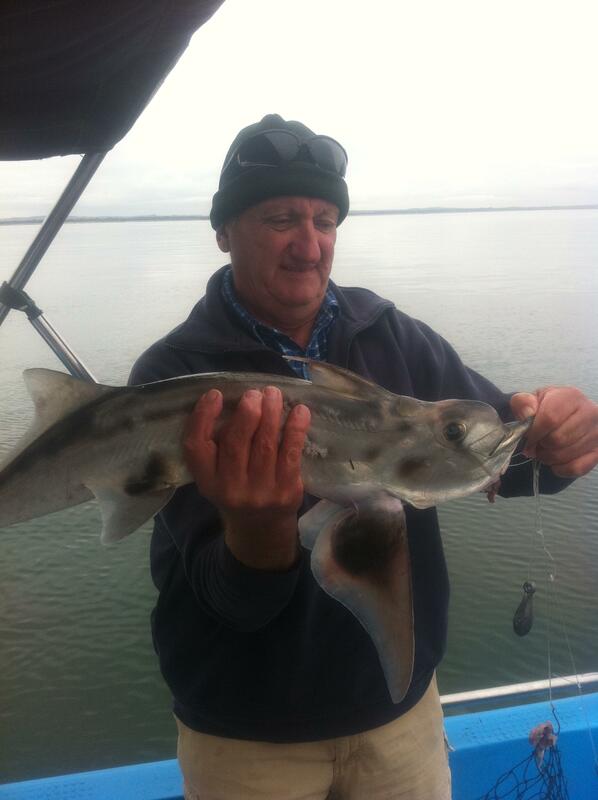 Elephant fish are not fussy and will eat just about anything however: pilchards are best, burley is the key to sucess and a running sinker rig with a 3/0 hook is prefered. Elephants are great fun on whiting tackle. Elephnat fish are good on the plate but take care with the spine on the top of their back where their dorsal fin is! Again they are best stored on ice so if your going to kill it, chill it!